Plus Size Kitten: The Walkers Are Back! got to watch the premier of Walking Dead Season 5 before anyone else! I'm a big fan of horror, gore, dark and physiological. This includes manga, movies, book and tv shows!. One of my favorite to name is Walking Dead. It has been one suspense after another following this series and I'm so happy that the Season 5 has premiered on Monday. I thought it would take ages (next year?) for S5 to start showing. 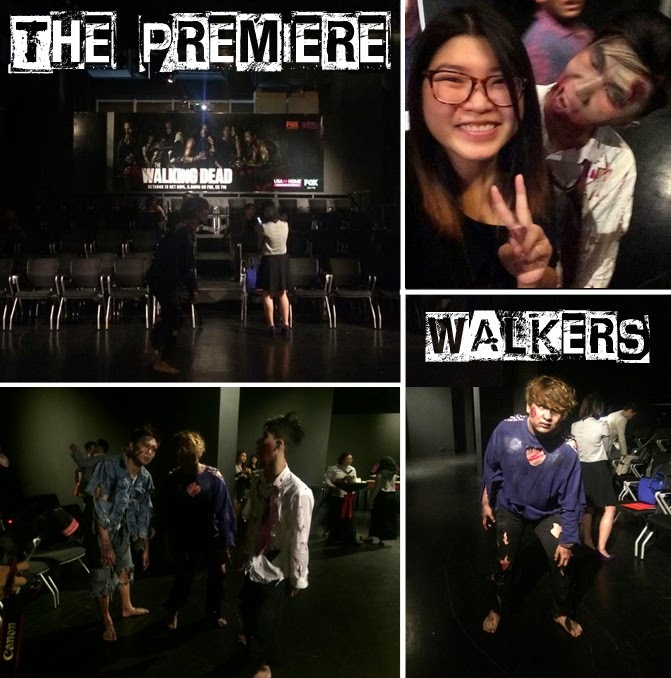 Thanks to Fox International Channels, I was ivited to the media screening of Walking Dead's Fifth Season at Publika where they turn Black Box into a screening hall and the medias got to watch it a few days before it premiers live to the public on FOX (Astro Channel 710). Excited like mad I tell you! 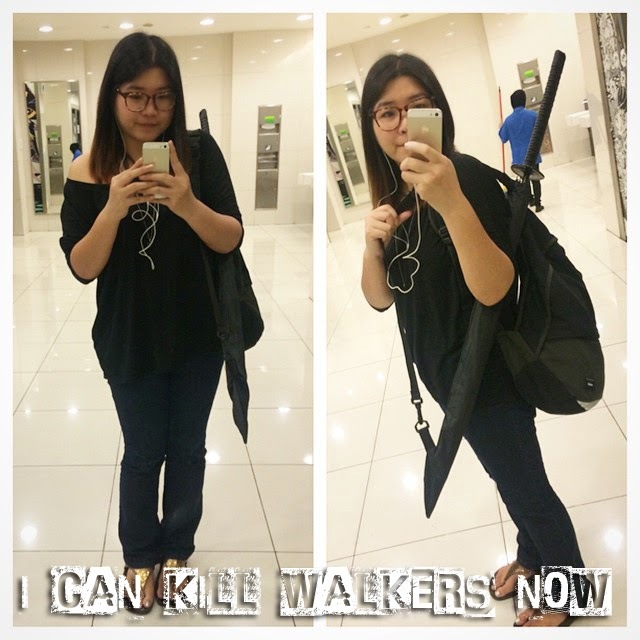 I took pictures with walkers and even got a samurai sword replika (umbrella actually) which I can start scarring people off in Publika right after the show. Watching episode 1 of Season 5 in my seat, I was beaming with joy. The finale of Season 4 left us hanging at the Terminus, a sanctuary with a deep ugly motive. Episode 1 brings us back to Terminus and how our favorite characters almost become human pork chop for the Terminus residents. If you have watched episode 1, you will know the sad reality that turned this sanctuary into a human food trap. The touching reunion of father (Rick) and his baby girl was and the shocking revelation of the people who tortured the Terminus residents. I won't give any spoilers here, you just need to watch Season 5 yourself. and run for your lives if you see walkers! After the screening, we were given a tour to the "Termius, A Sanctuary No More" right in the heart of Publika Shopping Centre. It's an augmented reality simulation of a container akin to the Terminus, a central storyline of The Walking Dead Season 5 first episode. Guests looked through several peepholes on the container as ‘zombies’ crept up on them. 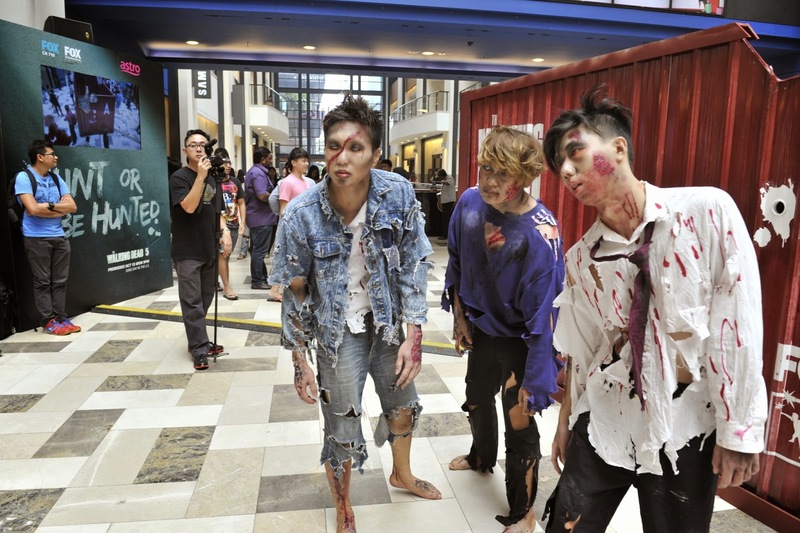 Additionally, “real walkers” were also present in creating a gripping atmosphere. Thanks Fox for the season premiere!. This kind of Gucci ladies handbag will unquestionably continue being popular fake chanel sale for a long time into the future. There are several of such Bardot bags that you can obtain fake hermes sale pre-owned, given it will not be accessible in your Gucci selection. In case you invest in a new retailer fake gucci sale make certain that your ladies handbag can be legitimate, since you cannot need to be conned through your income. Gucci is often a prime high-class firm along with their goods are generally exquisite, as a result look at your ladies handbag extensively as well as inquire the owner pertaining to additional photographs while acquiring on-line. Be sure they have your dollars fake prada sale rear when you find yourself dissatisfied while using invest in. And even though your tough economy could possibly be smacking common men and women, and perhaps they are curtailing on the vacation trips, in spite of cutbacks for the investment market segments your really prosperous even now have enough money to never detect a major decline in fake gucci sale your Monte Carlo internet casino. Omg I love the Walking Dead!! Lucky you to be invited! Are the Michonne katanas free too?! Dang!